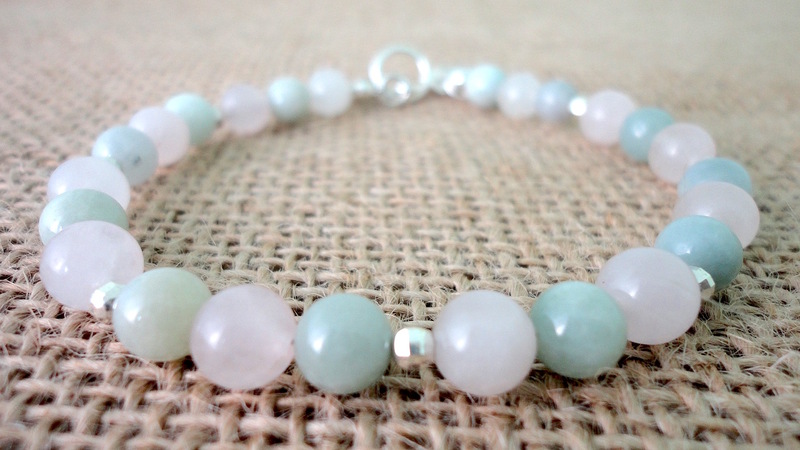 Jadeite is the most precious and rarest form of Jade. 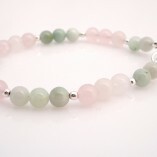 Jadeite is highly prized and valued in China and is considered to be the imperial gem in Chinese culture. 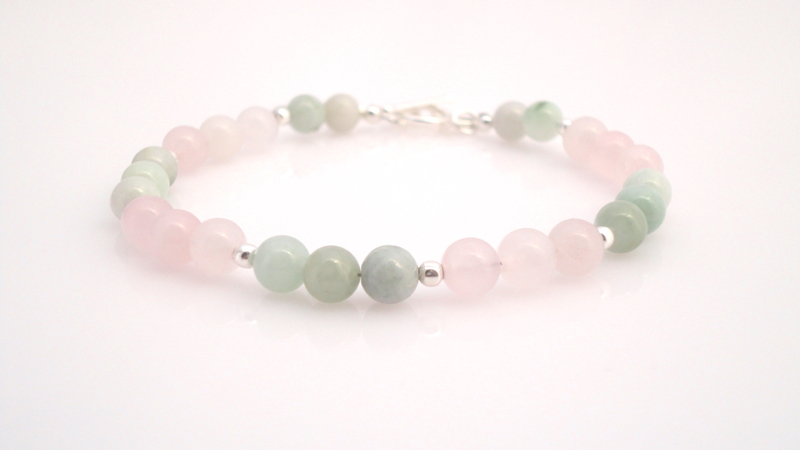 It is believed that Jadeite will attract good fortune, love and prosperity into your home, Rose Quartz is considered to be the crystal of unconditional love. 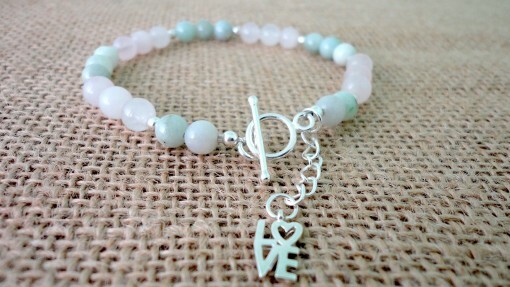 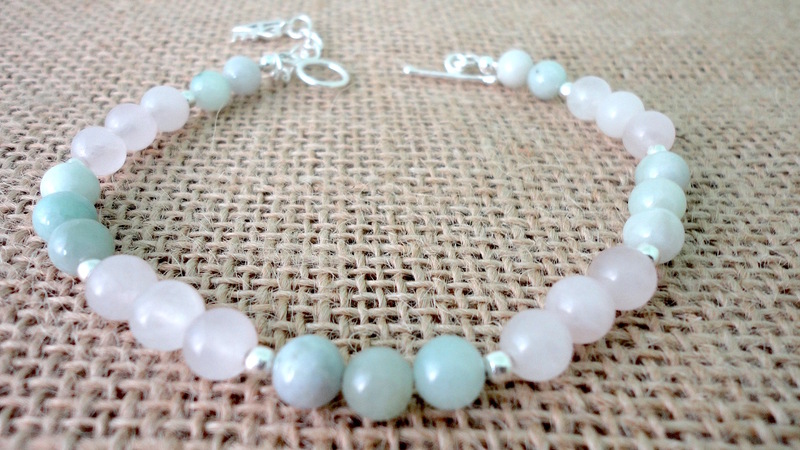 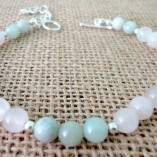 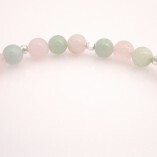 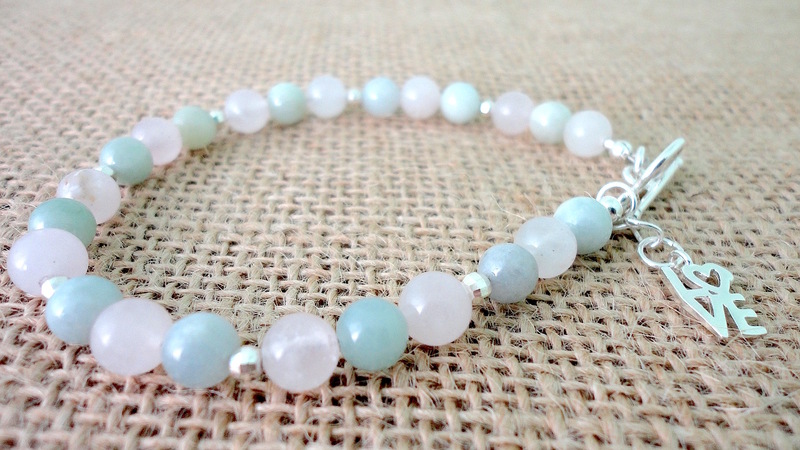 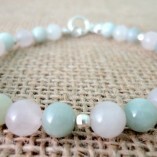 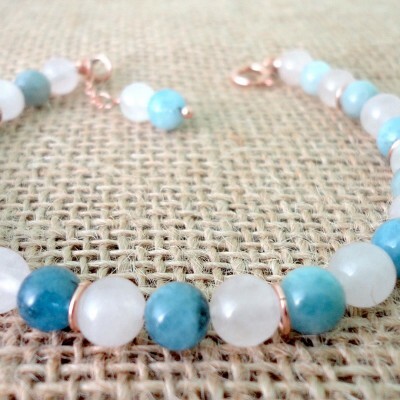 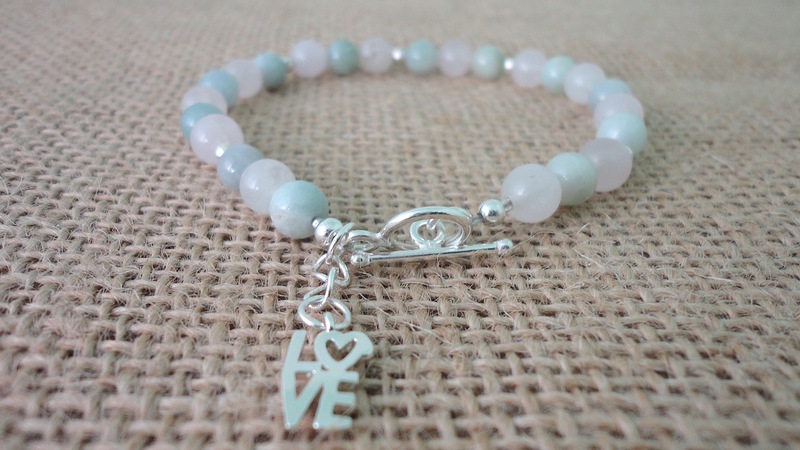 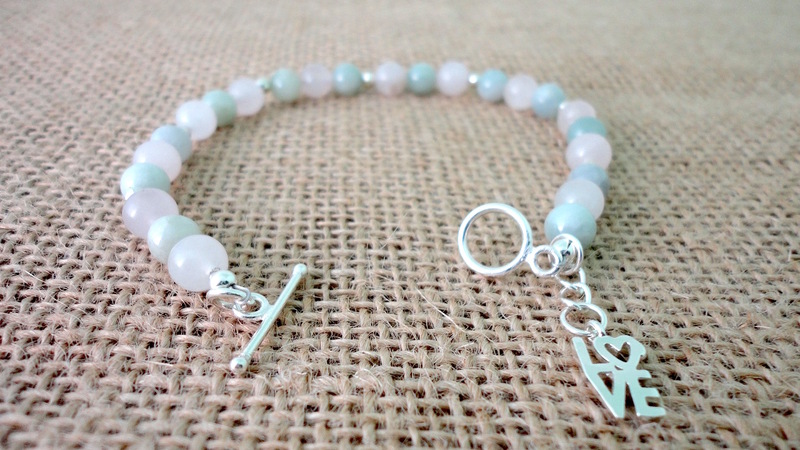 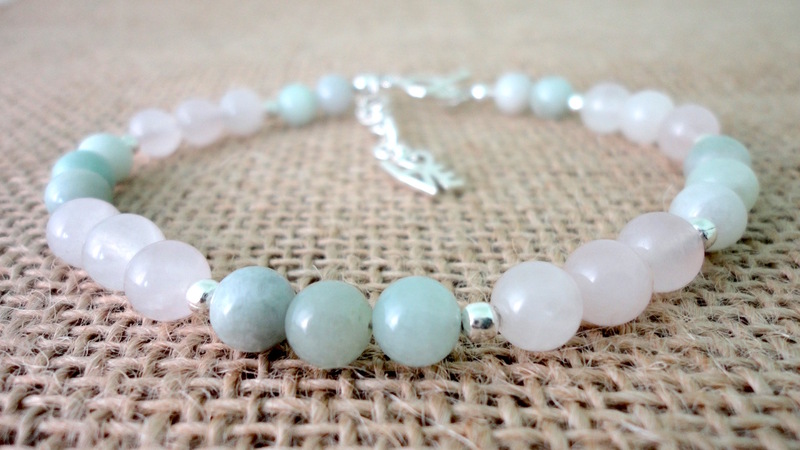 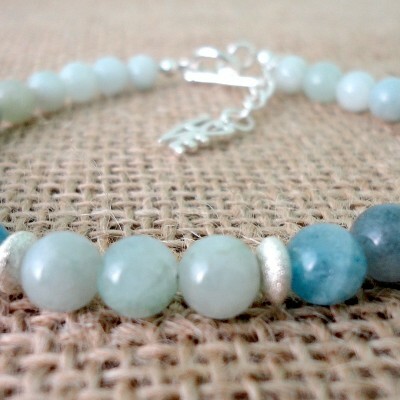 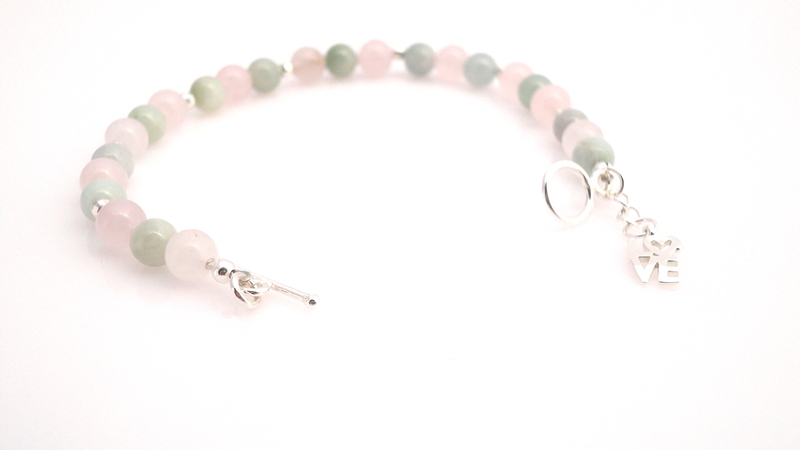 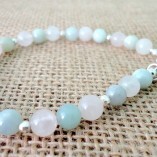 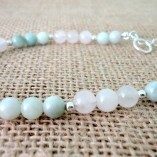 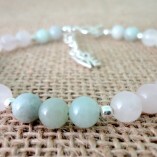 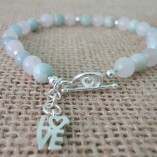 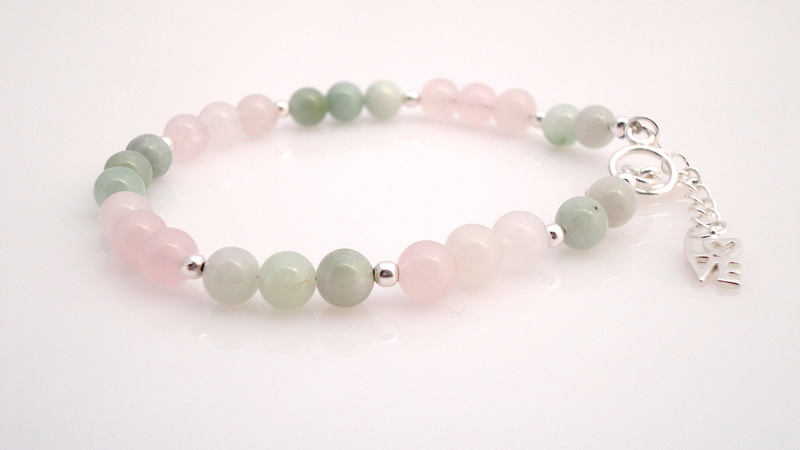 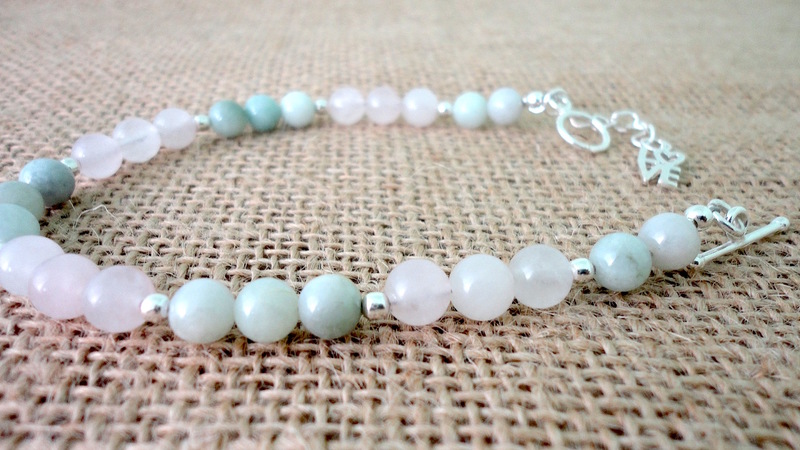 The delicate pastel shades of Jadeite and Rose Quartz are paired beautifully in this bracelet. 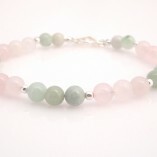 The softest hue of green Jadeite is a perfect marriage with the subtle pink of Rose Quartz. 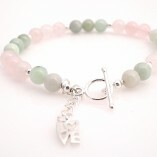 This bracelet is subtly accented with Sterling silver beads and e sterling silver toggle clasp, extender chain and LOVE charm finishing it beautifully. 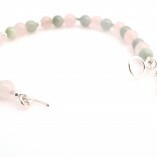 If you are looking for a piece of jewellery which you cannot find on the high street, this is it. 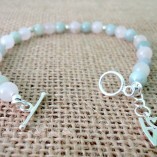 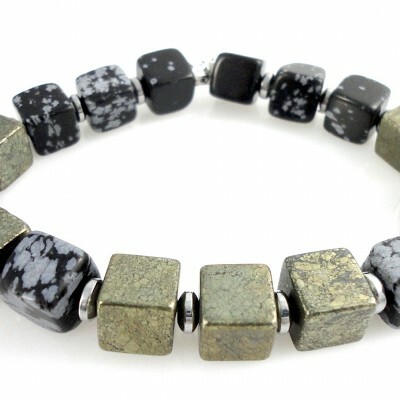 This is an ideal bracelet for a bride, prom, or an everyday casual bracelet, and special gift. 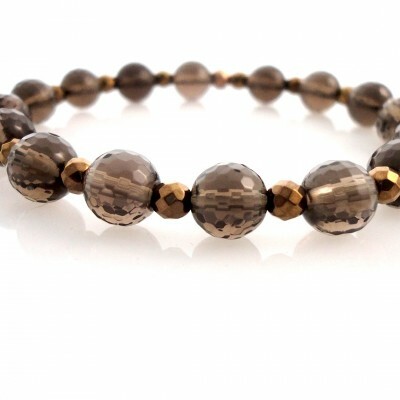 Ideal as a stacker. 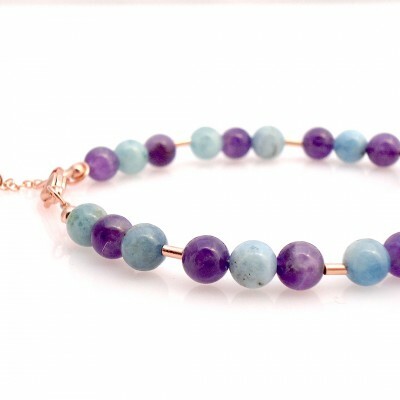 why not mix it with complementary jewellery in the Serenity Collection? 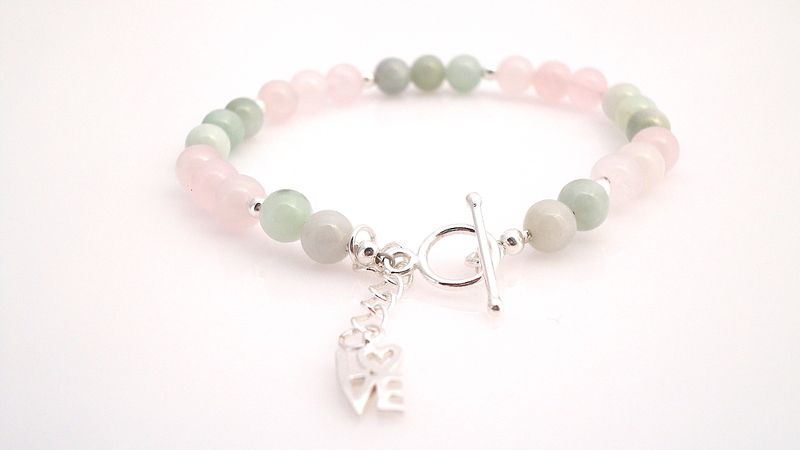 Love: Jadeite is excellent for creating a passionate experience with your lover.